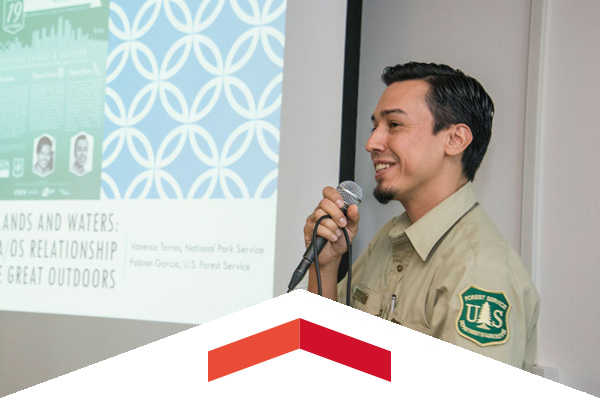 Representatives from the U.S. Forest Service and the National Park Service (NPS) capped CSUN’s ninth annual Sustainability Day with an inspiring and candid session encouraging Latino students to consider careers with the Forest Service and NPS, and to take advantage of the public lands. Fifty undergraduate students working with CSUN biology professor Cindy Malone will get the chance of a lifetime to conduct stem cell research alongside some of the top scientists in the country, as part of a multi-million dollar grant from the California Institute for Regenerative Medicine. Faculty advisors play a key role for students on their path to graduation, and now students have the new Registration Planner, available in the myNorthridge Portal and the CSUN app, to make that path a little easier. Faculty can direct students to utilize this tool, which helps students create their proposed schedule options. And qualifying undergraduate students taking advantage of the Registration Planner will be entered into a drawing for a tuition scholarship or other prizes. Experience George Takei, live on stage at the VPAC’s Great Hall, bringing a powerful and entertaining voice to issues ranging from politics to pop culture. You’ll hear all about his incredible journey from being wrongfully imprisoned as a child by the U.S government in its internment camps for Japanese citizens during World War II to Star Trek fame and becoming one of the country’s leading figures in the fight for social justice, LGBTQ rights and marriage equality. The deadline to register is Dec. 9. Please visit the Faculty Retreat website for information and to register. For more information, contact heidiw@csun.edu. Celebrate our Matador veterans with We ♥ Our Veterans Week from Nov. 6 to 11. Events include a 5K Fun Run, U.S. Flag Garden Placement, Veteran Ally Workshop, Veteran’s Resource Center open house, and the CSUN Students and Veterans Party on the Plaza. How does Social Security affect your retirement, survivor benefits, Medicare or disability? Join Anna Roca from the Social Security Administration and learn how to maximize your benefits and understand how your Social Security and Medicare benefits will affect your retirement. Faculty who would like to be considered for election or appointment to positions in faculty governance, to standing or advisory committees of the Faculty Senate, or to various all-university committees and boards are invited to complete the University Service Form. To be considered for the spring faculty elections, please submit the form by Jan. 23, 2017. For more information, contact heidiw@csun.edu. Hosted by CSUN’s Institute for Community Health & Wellbeing, Walkability Wednesdays take place from noon to 12:45 p.m. every Wednesday and feature guest speakers and walk leaders. This week, join Institute staff members Jed Mitra and Josselyne Rivas for a Pokemon GO-themed walk through campus to all the best locations to capture Pokemon. Join Jenny Novak, Emergency Preparedness Manager, in this workshop style course where participants will develop family emergency plans and will be provided with information about neighborhood-level emergency preparedness. Seeking and securing grant support can play a vital role in faculty development, scholarly standing, and academic advancement. 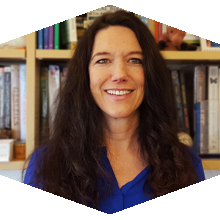 Join Grant Coordinator, Office of Research and Sponsored Projects Stefanie Friesen and Grants Officer, College of Humanities Teresa Morrison for an overview of available resources as well as tips and techniques to improve your chances for internal and external grant awards. If you are 5 years or less from retirement, join Joshua Hayes of Savings Plus for a discussion on maximizing deferrals, understanding common risks and investing after retirement.